Western blot analysis of extracts from membrane fractions of SW620, LNCaP, and HT-29 cells using MRP4/ABCC4 (D1Z3W) Rabbit mAb. 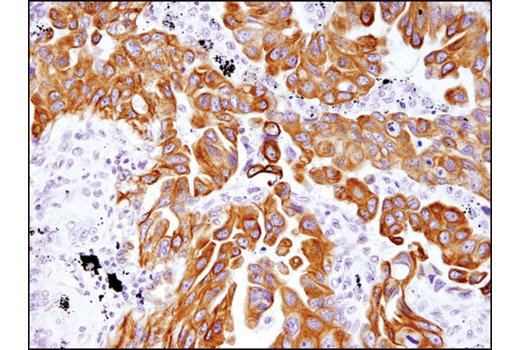 Immunohistochemical analysis of paraffin-embedded human non-small cell lung carcinoma using MRP4/ABCC4 (D1Z3W) Rabbit mAb. 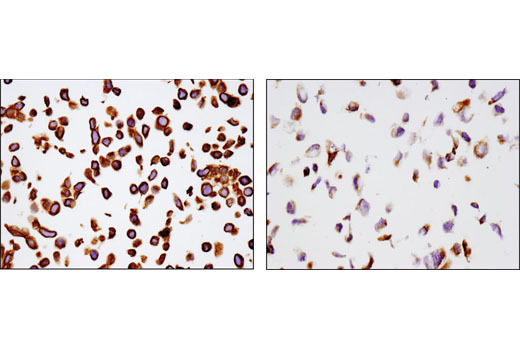 Immunohistochemical analysis of paraffin-embedded cell pellets, HT-29 (left) and U-2 OS (right), using MRP4/ABCC4 (D1Z3W) Rabbit mAb. 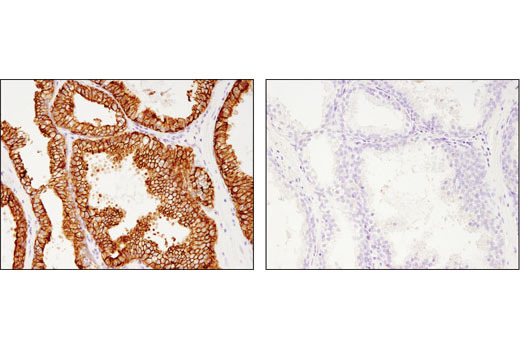 Immunohistochemical analysis of paraffin-embedded human prostate carcinoma using MRP4/ABCC4 (D1Z3W) Rabbit mAb in the presence of control peptide (left) or antigen-specific peptide (right). 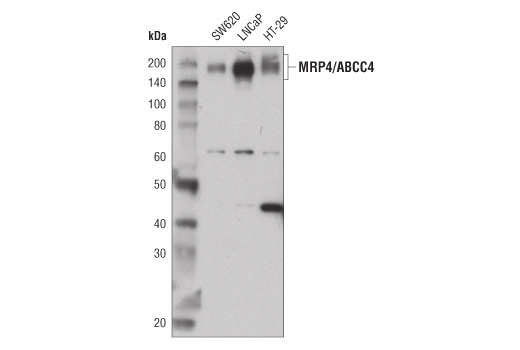 MRP4/ABCC4 (D1Z3W) Rabbit mAb recognizes endogenous levels of total ABCC4 protein. This antibody cross-reacts with a nonspecific band at 47 kDa in some cell lines. Monoclonal antibody is produced by immunizing animals with a synthetic peptide corresponding to residues surrounding Gly192 of human ABCC4 protein.